More than 81% of organizations believe successful adoption of the Industrial Internet of Things (IIoT) is critical to their future success, yet ironically, only 25% of these organizations have a clear IIoT strategy in place and only 24% of those organizations are happy with its execution. These facts were revealed in an April 2016 survey of 170 senior executives conducted by the Genpact Research Institute in collaboration with GE Digital and the Industrial Internet Consortium (IIC). It goes without saying that the IIoT is a high level topic of interest for corporate enterprises who expect the IIoT to transform the way people and machines interoperate, with the potential to significantly improve processes and operational efficiency. A large majority of the executives polled in the survey went so far as to say that the IIoT was a “game changer”, with company growth, agility, cost improvements and compliance being the key drivers for successful adoption. Executives also noted that the IIoT holds the promise for cost savings in operational improvements, supply chain optimization, and better asset utilization as well as the benefits of business agility and regulatory compliance. Despite the enormous upside presented by the IIoT, executives were cautious of the obstacles that lie ahead. Data security and privacy concerns, insufficient skills of technology staff, proliferation of legacy systems, and data quality were cited as the greatest challenges to IIoT success. Executives also pointed out that the IIoT increases their susceptibility to cyber attacks. None of these challenges are insignificant, which is why it is somewhat surprising to learn that such a small percentage of the business leaders responding to the survey believe that their company has a clear IIoT implementation strategy. 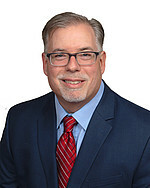 Perhaps it is the speed in which new IIoT-driven processes and devices are coming online, or simply the sheer magnitude of the changes that are looming over the industrial sector that is causing the disconnect between strategy and successful implementation. Whatever the factors may be, it is clear that companies need to develop a definitive IIoT strategy with a focus on security of both information and systems. There are many organizations, like the IIC, developing initiatives geared towards identifying interoperability and security standards, best practices and processes for the industrial Internet. With so much recent attention given to IIoT security concerns (google it) it is incumbent upon developers to participate in these discussions and adopt the necessary practices to implement “security by design” protection mechanisms in their processes and devices. 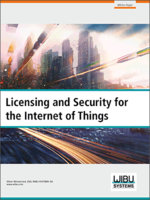 If you are interested in learning more about the cybersecurity landscape and the security mechanisms that can detect and prevent threats to connected devices, download our whitepaper, Licensing and Security for the IoT.